Scotland has a history rich with a belief in family, community and loyalty. This full sense of belonging, that seems to be very lacking in today’s society, is drawing people all around the world to discover their clan and connect with a group that has outlasted wars, poverty, and modernization and still stands united. As Scotland was settled, regions were created that had their own chief, castle and governing structure. Anyone living in the boundaries of the chief’s domain belonged to his clan. Time, battles, and politics altered borders, creating clans of several different families. Many of these families would change their names to reflect that of their clan Chief. Historically, these regions were signified by a particular tartan. By the late eighteenth century, the tartan specifically become a clan symbol. Only the clan chief could make a tartan pattern the official sign of the clan. Modern Scotland still upholds the importance of Scottish Clans and their tartans. The Court of Lord Lyon is an official court that regulates heraldry in Scotland. 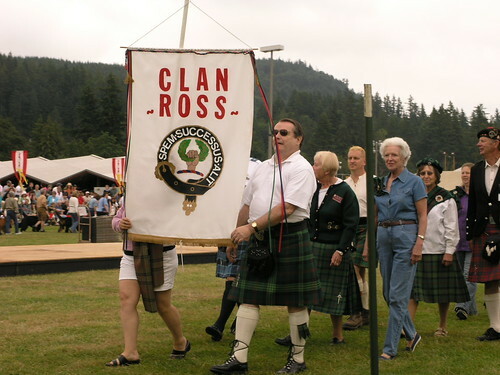 The Court officiates the use of Arms and keeps genealogical records of clans and their tartans. Although Scottish law does not recognize any legal authority of clans, they have granted the Court of Lord Lyon the right to prosecute anyone using Scottish Arms without proper authority. Scottish clans have been given an almost romantic quality. They stand for loyalty, family, strength in adversity and a sense of belonging throughout the ages. Their popularity has led to an increased number of genealogical groups that are ready to help a Scottish descendant to connect with their history in a whole new level.